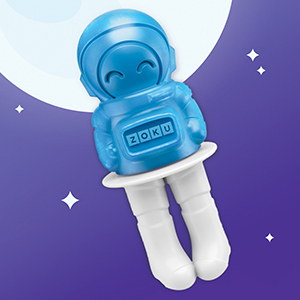 Explore the final frontier with the Zoku Space Pop Molds. 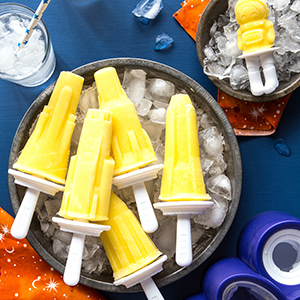 Each rocket pop holds approximately 2.2 fluid ounces with a mini astronaut pop that holds 1.2 fluid ounces—perfect size for even the littlest intergalactic explorer in your family. Turn any kitchen into a launchpad for your imagination with an astronaut and five (5) highly detailed and unique numbered rocket ships. Keep your mission in control with drip-guards, built into every stick. Just be careful—these pops will disappear faster than if they passed by a black hole. Pop creators of any age can make their own astro-treats. Add your favorite juice, yogurt, pudding, or smoothie to the mold. You could even use melted chocolate to make your own chocolate pops. With your ingredients in the mold, add the sticks with built-in drip guards, and place the mold base gently in your freezer. Once your pops are frozen (approximately 8 hours or overnight), it’s time to for takeoff! 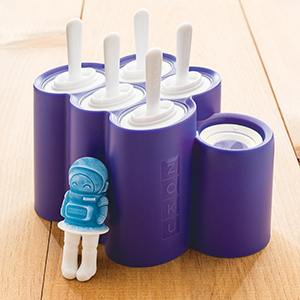 Gently pull on the astronaut stick feet and the silicone mold will automatically invert with a POP—no rinsing required. The pop is released so easily, even the smallest astronauts will say “Houston, we have no problems.” For the rockets, pull the stick out of the base to remove the individual mold along with the pop. Run the mold under warm water for about 30–60 seconds to release the ice pop. When it’s time to clean up, use mild soap and water. And like all Zoku products, they’re BPA and phthalate free. TO INFINITE POSSIBILITIES AND BEYOND! Endless combinations and creativity will give you ideas to the moon and back. Leave the sticks out to make ice cream cake decorations. Or try chocolate instead for adding some fun to cakes or ice cream sundaes. No matter what you decide, your ideas will be light years ahead of their time. Hosting a party? Instead of adding the sticks, try some fruit juice for an extra splash of color and add to an entire intergalactic planetary punch bowl. 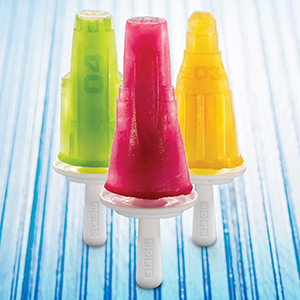 Stocking up for the festivities is easy and fun when you can make six pops at a time. 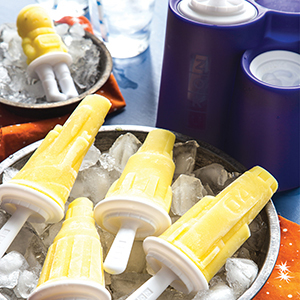 Zoku’s lineup of innovative products includes the patented, award-winning Quick Pop Maker line, that freezes ice pops on the countertop in as little as seven minutes, without electricity. 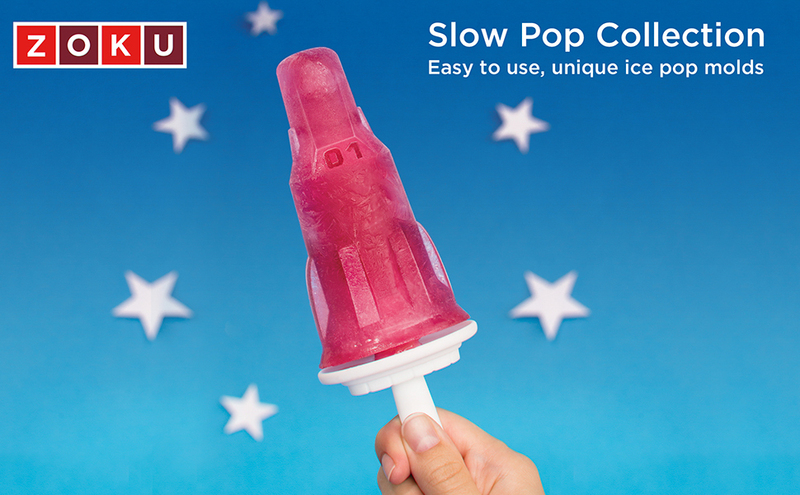 Zoku also offers the patented Slow-Pop Collection, including Polar Pop, Space Pop, Fish Pop, Character Pop, Round Pop, Mini Pop, and Classic Pop Molds.